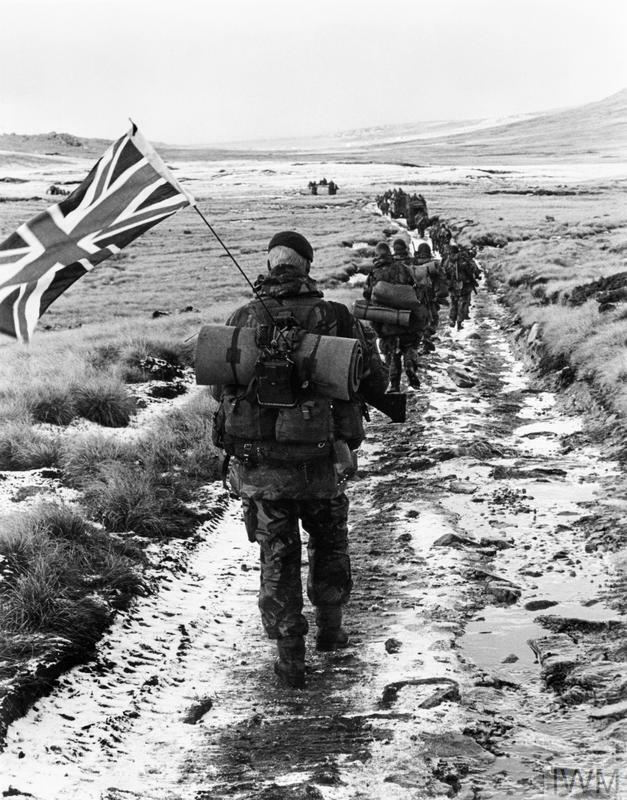 Commandos from 40 Commando Anti-Tank Troop march towards Port Stanley in amongst a column of from 45 Commando (the unit to which they were attached). 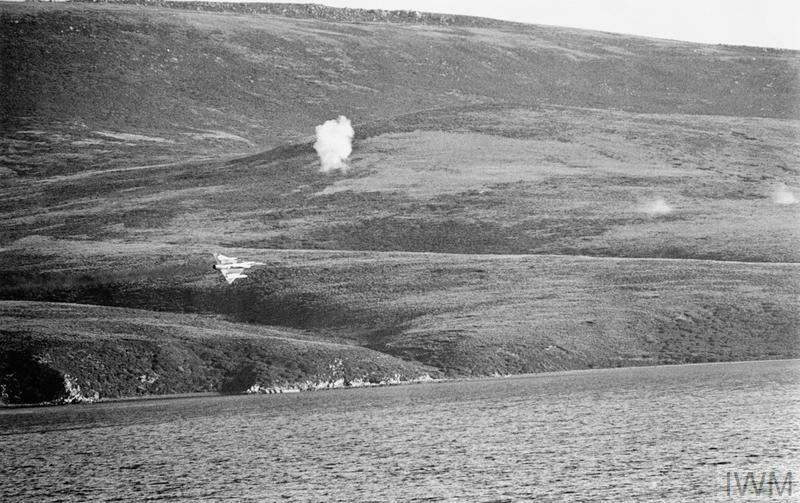 Royal Marine Peter Robinson, carrying the Union Flag attached to the aerial of the radio he is carrying, brings up the rear. 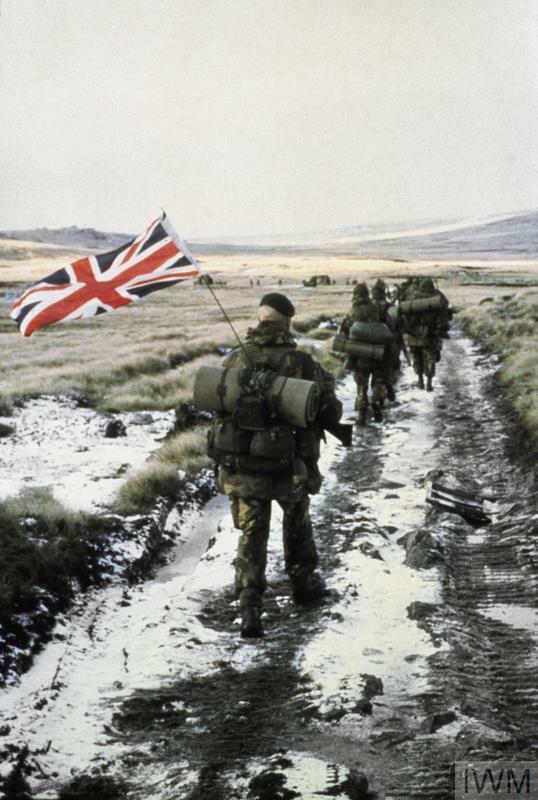 The flag was owned by Marine John 'Snowy' Snowden who was unable to attach the flag to his backpack so he passed it to Robinson. 45 Royal Marine Commando marches towards Port Stanley during the Falklands War, 1982. 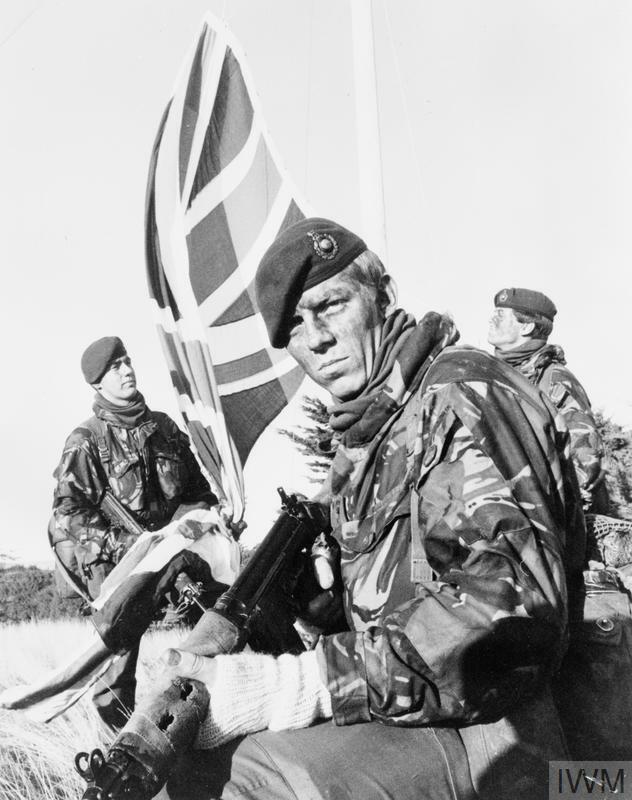 Marine Peter Robinson carrys the Union Flag on his pack.